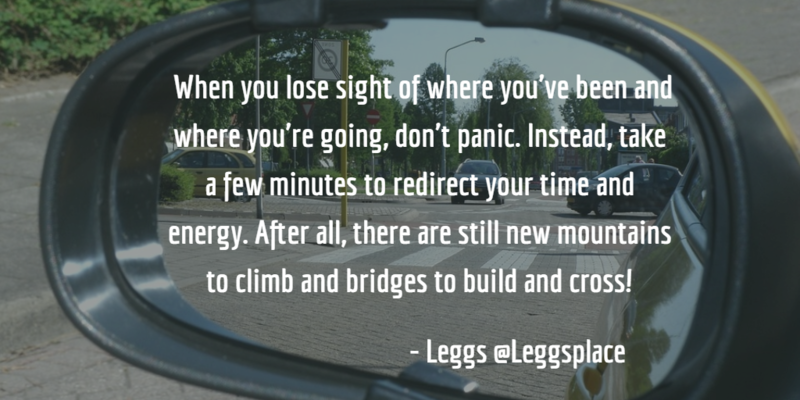 When you lose sight of where you’ve been and where you’re going, don’t panic. Instead, take a few minutes to redirect your time and energy. After all, there are still new mountains to climb and bridges to build and cross!